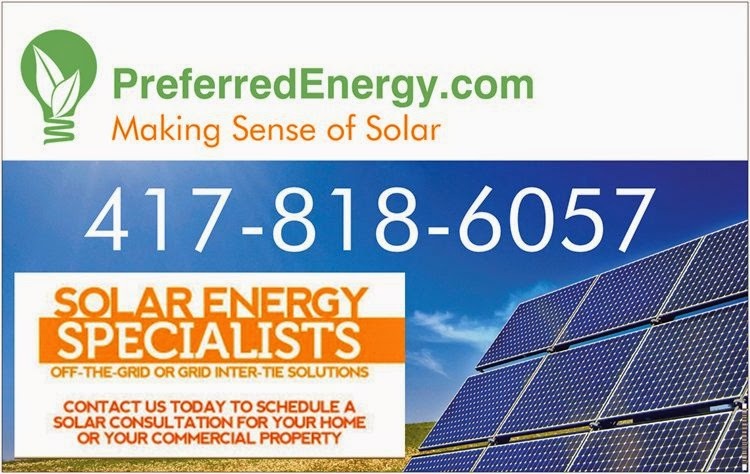 The specialists at Preferred Energy know that you've got lots of questions when it comes to solar. Having lived "off-the-grid" themselves for over a decade, we know a thing or two about the benefits of renewable energy sources, and we'll help you to make sense of solar panels. Whether you're a homeowner or business owner, we can show you successful solar designs, the best tax rebate options, and how to harness the power of the sun to sustain your electrical usage. As we spend more time and energy developing and promoting solar systems, we are able to create more effective panels at a lower rate. When you add into that the state tax incentives, solar power makes even more sense as an option to gather free energy. Whether you need an off-the-grid or grid inter-tie installation, now is the time to take advantage of the great prices and rebates and go green with solar.